I'm getting a tad repetitive. 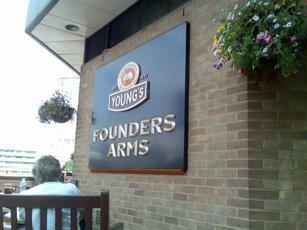 Yet another Youngs pub that has declined. 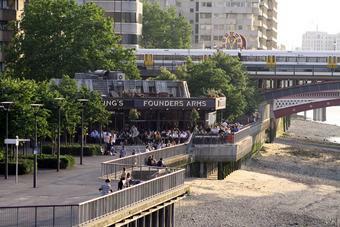 As one who used to visit before this part of the Southbank got popular you were always guaranteed a decent pint, and a reasonable cost. 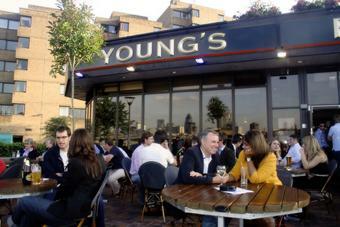 £4.60 for a pint of Youngs Ordinary? You are having a laff. I popped in here after an exhausting couple of hours in Tate Modern. 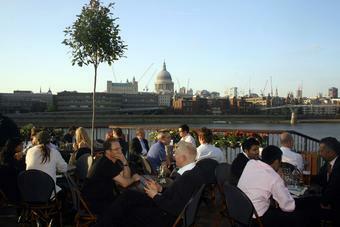 Being a nice day, even at lunch time on a Tuesday the terrace was packed. Inside was virtually empty. 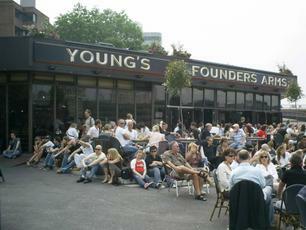 A nice pint of Young's Bitter was 3.99, not bad for a pub in this position. Friendly & efficient staff, working WiFi, a perfectly good pint; a nice place to spend an hour or so when its quiet. I'm with Wilko on this one. Went there on a sunny sunday with family and whilst it was full of tourists and the food and drink not exactly cheap (£12 for gammon and chips), the view and food were good, real ale selection adequate, the portions large, service friendly and efficient. 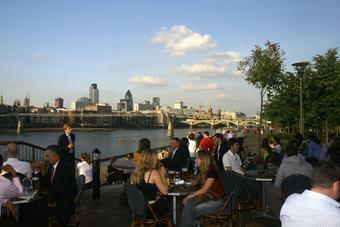 I obviously wouldn't come here for a drinking session but given it's proximity to the Tate Modern, Millenium Bridge, South Bank (including "beach" if the tides out) and slightly further afield, The Golden Hind, St. Pauls etc. i'd definitely come again with visiting friends or family if in the area and they weren't on a strict budget. I'm ambivalent about the latest refurb attempt to make it look like an American bar, but not inherently bad. However, even for a tourist trap £4.39 for real ales and £5.19 for a pint of lager is taking the Carlsberg. Avoid or incur a substantial cost. 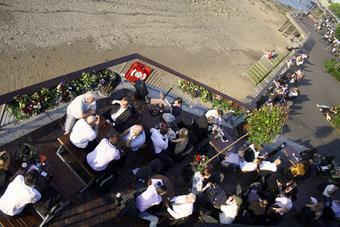 Great location, nice decor (but who forgot the loos) and a good range of beers apart from the ubiquitous Youngs. The Bath Forest Hare was excellent although 2 pints plus a bottle of Peroni at �12 for the round was a bit steep.